That'll Make Your Event Extra Memorable! Hiring a photo booth in your wedding is the perfect way to entertain your guests and make your event memorable. Guests young and old will love the opportunity of taking fun photos with friends and family. 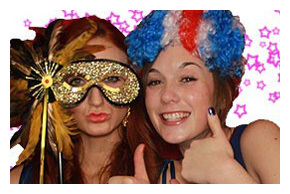 Party photo booth hire is guaranteed to provide some hilarious photos. After a few drinks your guests will have great fun in our crazy booth ensuring your party will be remembered for years to come! 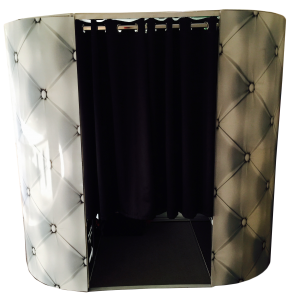 Entertain your clients with a photo booth. 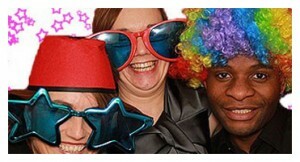 Corporate hire packages can include photo booth personalisation options ensuring your company is seen and remembered. We know how important this special Bar Mitzvah celebration is for your child. 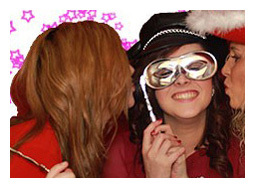 Hiring a photo booth will help make the event enjoyable and that special memories will be treasured forever. Planning a party? Make it a day to remember with us. 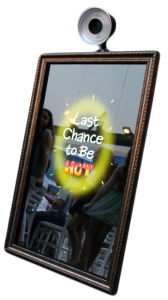 Our photo booths take fun to the next level at any celebratory event, from birthday parties and weddings to corporate brand launches and more. When you’ve gone to great lengths to host the perfect party, adding a photo booth can be the best way to capture the spirit of the event forever. Instead of the usual staid photographs that you get with a professional photographer, a photobooth gives you a sneak-peek at some of the hilarious happenings that went on behind the scenes during the party. 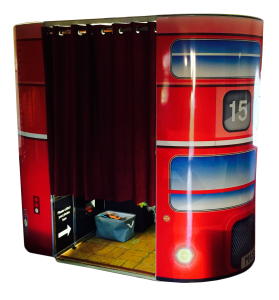 Our mobile, instant photo booths are easy to use and feature the very latest photographic technology along with an array of zany props that will help add even more flair to the photographs. A giant green screen backdrop allows any image to be used as a background and the 23” colour touch screen is easy to operate and includes video messaging. With unlimited photographs and endless creative options, you know the fun will never end with a photo booth at your party venue. Get together a small group of guests or squeeze a larger group into the photo booth. Grab a crazy prop, strike a pose and press the button...that’s all it takes to create uproarious photographs that will serve as a constant reminder of the fun you had at the party. Call us now to know more about our photobooth hire service. We offer services in and around Colchester, Brentwood, Surrey and Billericay as well as UK wide. All of our photo booth hire packages include a minimum of one photobooth attendant, a fun selection of props and unlimited visits to the photo booth. Renting is easy with carefully put-together hire packages to suit all occasions, from standard packages to all inclusive wedding packages. Extras are available and packages can be tailored to suit your requirements. Contact us today and let us help you make it a day to remember! 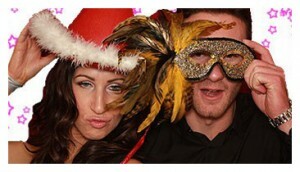 Our Photo Booths will add smiles, giggles and endless fun to your event and truly make it a day to remember. Diamond Fun Casino Limited trading as Photo Booth Crazy have been providing first class entertainment all over the UK and Europe for almost 20 years. We have the experience to make your next event a runaway success.